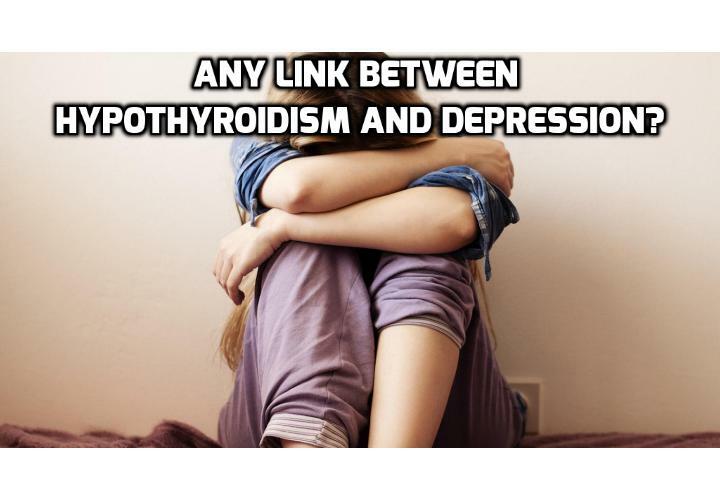 Is there any link between Hypothyroidism and Depression? The link between hypothyroidism and depression has long been recognised. Back in 1969 researchers reported ‘clinical symptoms may mimic that of melancholic depression and dementia’. Feeling sad or disappointed at times is a normal reaction to the challenges of everyday life. However when it comes to depression this condition is associated with more than general feelings of sadness. Depression leads to feelings of pessimism and ongoing despair. Individuals with depression suffer in many areas of their lives. It interferes with their ability to cope with everyday life. In addition, they often feel disconnected from their friends and family. Emotional health problems such as depression, anxiety, and post-natal depression may be due to an underlying thyroid issue. Hypothyroidism occurs when there is low production, or reduced activity of the thyroid hormones. Hypothyroidism, especially when coupled with adrenal fatigue, gives rise to a diverse range of emotional health problems. Many individuals with a thyroid-adrenal imbalance also experience depression. A lack of interest in daily activities. Feelings of not being worthy. One explanation for the link between hypothyroidism and depression is the influence of triiodothyronine (T3). T3 is normally concentrated in the area of the brain that controls emotions such as joy, anger and fear. T3 plays an important role in regulating activity of the three ‘feel good’ neurotransmitters. These neurotransmitters have a powerful effect on your emotions. These key neurotransmitters include serotonin, noradrenaline and GABA (gamma-aminobutyric acid). Serotonin and noradrenaline are often referred to as the ‘happy’ messengers. They boost your mood. Serotonin also helps regulate sleep and hunger. Chronic stress can lower both serotonin and noradrenaline production. GABA is often referred to as the ‘calming’ messenger. It helps keep you relaxed and focused. T3 regulates the action of serotonin, adrenaline and GABA. If you do not have enough T3, or the action is blocked, production of these neurotransmitters can be affected. Individuals with depression, anxiety, or some type of serious psychiatric illness should be screened for hypothyroidism. According to the American Association of Clinical Endocrinologists, “The diagnosis of subclinical, or clinical hypothyroidism must be considered in every patient with depression’. It’s possible an individual could experience a significant shift in their mood, and cognitive function if an underlying thyroid disorder is addressed. SPECIAL NOTE: This ‘Hypothyroidism and Depression’ article is for educational purposes to assist you in living well. It should not be used as a substitute for the advice provided by your medical practitioner. If you suspect you are experiencing depression, promptly seek professional advice. Do not cease taking your prescribed medication without the consent of your medical doctor. Previous PostPrevious Why Trans Fats are Harmful for Your Thyroid? Next PostNext Why Vitamin D is needed for a Healthy Thyroid?